In sunny San Diego, diet and exercise are excellent ways to maintain a healthy life style, but sometimes you still can’t achieve your goals of a slim shapely figure due to stubborn areas of fat. Liposuction provides a safe and effective means of permanently removing localized excess fatty tissue. For both women and men, liposuction remains the most popular cosmetic surgical procedure with nearly 400,000 procedures performed in the United States last year. It is important to recognize that liposuction is a body contouring procedure and is not designed as a weight loss procedure. Areas of the body that are commonly addressed with liposuction are hips, waist, abdomen, thighs, arms, and breasts. Under the chin, arms, and around the knees are other areas that can benefit from liposuction. 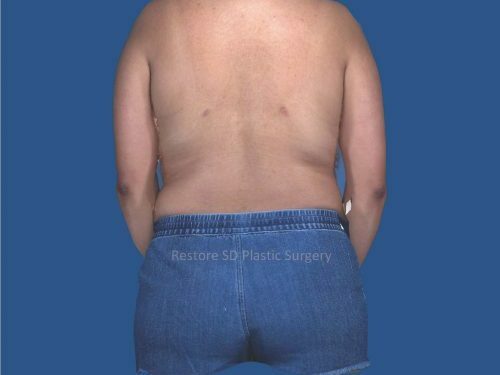 When you arrive at Restore SD Plastic Surgery to discuss Liposuction, your Restore SD surgeon will perform a detailed examination as well as review your medical history and any medications you are taking. With our state of the art Canfield software, potential surgical results can be viewed and adjustments can be made, helping you to visualize possible outcomes. Call 858-221-4953 today to speak to a member of our award-winning team to schedule a private consultation and learn more about how you can regain your figure with Liposuction!